Have to say I completely disagree, the reasons you have cited against social customer service can be resolved with the right enterprise solution in place. Too slow response times, limited functionality and not being able to resolve complex tasks are outdated reasons for not choosing to resolve service issues directly on the channel of your customer’s choice. The mobile element of social customer service and being on a channel users own and are comfortable with should make make social customer care a priority for large or growing enterprises. For companies that take a truly customer-centric view of it’s operations, they should accommodate this and not push their customers on to alternative channels. First – thanks for using your proper credentials and not masking behind a gmail address or something like it. I at least understand where you are coming from. Second – I have been saying from the beginning the shortcomings of Twitter and Facebook come down to their status as free networks, not the number of people in it. Even if we load 6BB people in Facebook organizations are still saddled with no control over the channel (well, social is a set of channels in the best of senses – someone on Twitter said the other day is a feature, i kind of agree with that). Imagine if you had no control over email or chat or even the telephone? Imagine if you could only use a standalone telephone separate from all other operations? Imagine if your email was limited to you only knowing when it was sent, and a name – but nothing else. Yes. All these an be overcome with good software, as you point out, but it is not being done in sufficient numbers – nor is it worth it. 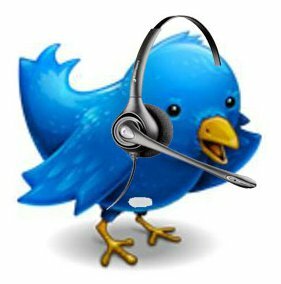 The AHT time for twitter-based customer service problem (without escalation) is 3 days. Someone mentioned the other day how pleased they were with Twitter – but in deepest introspection they said while it only took one tweet it took almost 8 hours and over 120 DM to solve. You can call that a solution, but after 30 years in customer service i don’t. especially when i can answer the same problem in 6-7 minutes on the phone, or in 30 minutes on email or chat. Social is where the customers are – fine. But that does not mean bending backwards our processes and tools to accommodate them there. Its a great triage tool – for sure (i’ve been saying this since 2009), but not much more. self-serve (automate as much as possible) and escalate to other channels where you have more control and better processes in place. While smaller CS organizations with small volumes can see good results in these channels, as their needs grow they see a need to move to other channels. each channel has a unique solution to a few contextual issues – social is not an exception. its time to integrate it better as a triage and escalation channel – not as a resolution channel.